a grand affair of 5 days. The venue, as every year, is the grand Diggi Palace. So, if you and your friends are planning a trip to Jaipur to attend ‘JLF’ this year, here’s a list of 5 things you must do! Plan and Book in Advance: Every year, JLF attracts thousands of people from over the world in January to attend their events. Booking and planning in advance for this trip is very important to avoid any rushed decisions and planning mishaps. Book your train, plane or roadways tickets well in advance, as the travel options get crowded as every day goes by. Book your hotel well in advance as well, this way you would not have to pay steep prices for mediocre rooms. Remember that Jaipur has a surplus of tourists at this point of the year, so prepare your lodging, eating and travel for a smoother experience. Attend the Brilliant Speaker Sessions: JLF boasts of brilliant speakers who come from all over the world. All of these speakers are celebrated authors and individuals who have gained massive respect in their field of writing over the years. This year JLF will be host to authors like Anuja Chauhan, Ashvin Sanghi, Chitra Bannerjee Divakaruni, Deepa Agarwal, Keki Daruwalla, Mallika Dua, Manju Kapur, Mark Tully, Neelesh Mishra, Prasoon Joshi, Richard Flanagan, Sadia Dehlvi, Sitaram Yechury and Vikram Chandra to name a few. Gastronomic Satisfaction: Jaipur is a city of feasts. Luckily, for those of you, who would want to do more activities apart from the fest, can head out to Jaipur City to eat and shop. Johri Bazar is one of the most famous markets which has an array of foods and shopping centres on offer. Indulge in some delicious Pyaaz ki Kachori, Dal ki Kachori, Ghevar and Badam Milk along with tons of shopping bags in your hand. A great option here would be Laxmi Mishthan Bhandar in Johri Bazar. The grounds of Diggi Palace too, have a huge number of food stalls to satiate your palate. 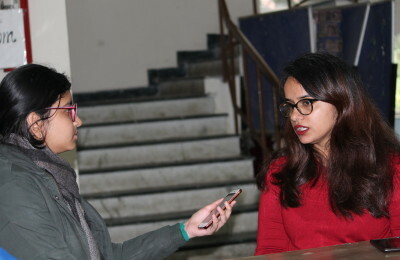 Interact and Make Friends: JLF is known for being host to all kinds of people, from all across the globe. While you attend speaker sessions, or go up to their sunlit roof to grab a quick lunch, everyone around you will be comfortable and eager to chat. For all you bibliophiles, get ready to meet fellow readers who would immerse you in their conversations and for all you non-readers, get ready to meet people who are there to just have a good time and not necessarily attend sessions and book signings. It is truly, a wonderful mix of people from everywhere. Book Signings! : One of the truly fun parts about JLF is attending book signings by your favourite authors. The size of the line depends on the popularity of the author, yet the lines are always long. In 2016, the book signings of Margaret Atwood and Gulzar took about an hour each, and yet some people could not get a signed book! So look over the speaker list on the JLF site and check whether your favourite author will be in attendance, carry a book by them in your luggage and stand in line to get it signed by them during JLF! The Jaipur Literature Festival is an experience all students must be a part of once in their lives. So book your tickets, pack your bags and head to JLF this year for an experience of a lifetime.